Prime Group continues to be recognized as a significant player in the business, with the clearest sign being the continued expansion its largest station operations across its system. Leading the way is the Quito station, the historic base of operations for the company – where it all started 17 years ago inside one small office. Today, the primary focus is still PrimeAir’s services in support of airlines and the shipment of perishables – even as Prime Group is engaged in a strategic restructuring of the operation to ensure the Quito’s long-term success. With about 30 employees now based in Quito, the company recently boosted staffing to accommodate a shift in focus from a purely PrimeAir office to a diversified Prime Group operation, where the entire spectrum of brands are now present under one roof. To get a better perspective on the Quito operation, we talked with General Manager Elizabeth Suarez. 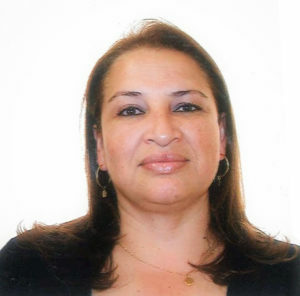 She oversees PrimeAir’s representation of airlines in Ecuador and Colombia, in terms of air cargo services, operations, handling, vendor control, and accounting. Q. Tell us about PrimeAir’s early days in Quito. Elizabeth: PrimeAir started as a GSSA, servicing three 747s in 2001 to Miami, and over the years, has focused solely on serving air-carrier shipments of perishables – mostly flowers. We have had different experiences with different companies. But today, I can tell you, we have an important presence in the market because we are working with very reputable companies. We have found the right formula. So now, when someone thinks “Quito,” they instantly think PrimeGroup. Q. Describe the physical office in Quito. Elizabeth: Originally operating in a tiny office of about 500 square feet, we moved in 2015 into a 1,600 sqft office inside the Mariscal Sucre International Airport. But just this year, our recently expanded Administrative, Finance, Sales and Marketing team moved into a whole new area of 2,500 sqft and moved our operational team into a separate to 1,000 sqft space. Q. In what ways is Quito different than Prime Group’s other station operations? Elizabeth: UIO and BOG are similar in that we primarily focus on PrimeAir services, while LAX and JFK focus heavily on providing freight forwarding services, warehousing for perishable cargo, and distribution. Q. Describe the makeup of the Quito team. Elizabeth: We have a very experienced team of people here who are extremely knowledgeable in their respective fields – which is why our company is now known as one of the most respected in the market. The staff includes a general manager, sales director, operations manager, sales executives for each service, flight dispatchers, administrative and accounting agents, and operations and traffic supervisors and agents. Q. What does the expansion mean in terms of efficiencies and accommodations? Elizabeth: Well, more space is always good for a growing team of professionals. It allows us to be more focused and comfortable in what we do best – provide great service – not only to local cargo agencies but for all our customers. Q. What’s it like with all the services of Prime Group now under one roof? Q. What does the Quito market look like? Elizabeth: It definitely looks challenging! Quito is a very dynamic in which you must have a finger on the pulse of the customer at all times, along with a real knowledge of handling flowers, fruits, and traditional commodities. Q. Are the primary products that come through Quito? Elizabeth: Actually, both Ecuador and Colombia have always been seen as the main producers and exporters of top quality roses, but over the years, the demand for other fresh and tropical flowers has blossomed, so to speak, as well as fresh fruit. Q. How do you store, ship, and transport your product? Elizabeth: Two words: cold chain. This is the main reason why our business is so successful. We have are able to maintain the required temperature at all transit points along the way, right up to delivery at the final destination. Coolers are waiting at the time of receipt of cargo, we’ve minimized time on ramp, carefully controlled temperatures in our freighters with latest technology, and again while in transit on the ground to final delivery. We are able to meet the high demands our customers search for. Q. What’s the future of Prime Group in Quito? Elizabeth: For 2019, it is the company’s desire to expand the portfolio of airlines we work with in order to expand into more markets in South America, Asia, and other U.S. cities and states. Q. Tell us a about your experience working with the company. Elizabeth: It has been an exceptionally rewarding experience serving with Prime Group. And a big responsibility leading PrimeAir in Ecuador and Colombia – firstly, because of my responsibilities to company leadership; and secondly, due to my commitment to my employees and their families. But of course the most important responsibility has been to meet and exceed the needs of the customer by providing top quality, efficient, professional service. To reach Elizabeth Suarez, send an e-mail to esuarez@primeair.com.ec. The main point of contact for customers is Regional Sales Director José Luis at joseluis.suarez@primeair.aero. 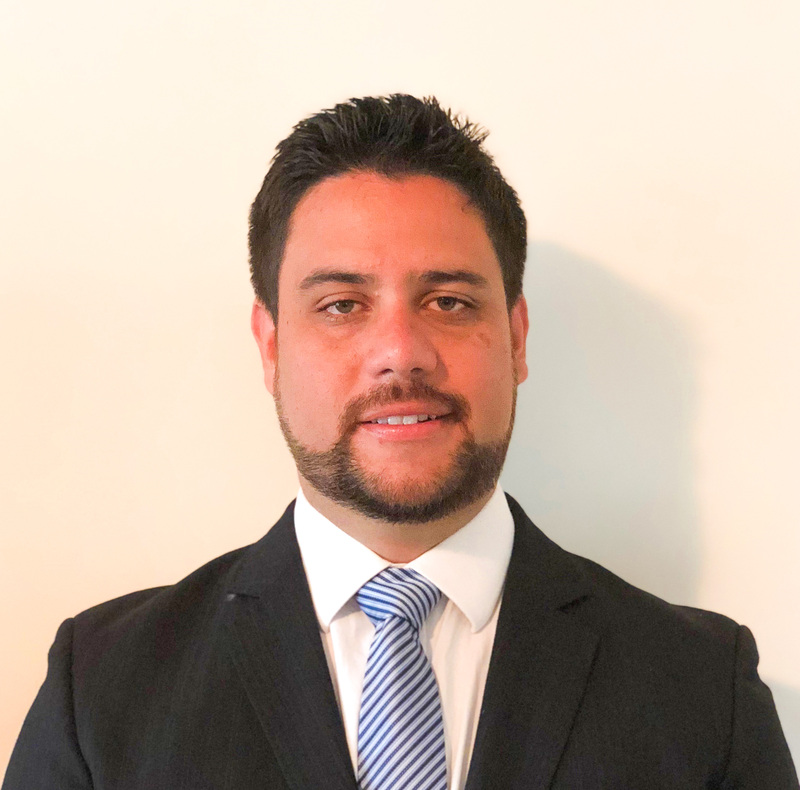 Reflecting the rapid growth of Prime Group and its multiple divisions worldwide, Alex Paredes has been appointed Sales Manager for Prime Fresh Handling in North America. This newly formed position will oversee PFH sales at the company’s station operations at New York JFK, Los Angeles International Airport (LAX) and Miami International Airport (MIA). Dedicated to a career in logistics since an early age, Quito-native Paredes graduated from La Salle High School before earning his degree as a Business Administration Technician from German School in 2010. 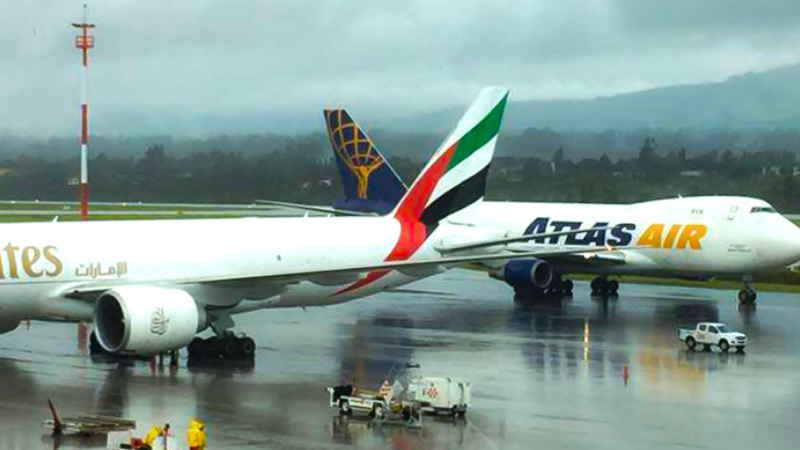 Alex first served with Transoceanica/Lufthansa Cargo as Booking Agent for three years before being promoted as National Cargo Chief with at Lan Cargo in Ecuador. In 2013, upon introduction of Atlas freighter service between Quito (UIO) and Amsterdam (AMS), Alex joined PrimeAir as Quito Sales Manager. As additional aircraft capacity was introduced at UIO and his responsibilities grew, he was subsequently selected to be an integral part of PrimeAir’s opening of BOG Station. By 2016, Alex was transferred to JFK where a new challenge awaited him with the expansion of Prime Fresh Handling in the New York market. Here, as Sales Manager of PFH, he oversaw sales operations of this logistics and handling facility focusing on perishables. Following the company’s steady growth over the past two years in the New York market, Alex is now ready to take his energy and enthusiasm to a new level. With the recent opening of a PFH operation at LAX, he is now taking over sales management of that facility as well, while focusing on expanding business opportunities in both New York and Los Angeles. Setting and fulfilling company goals and generating analytics. Based in Miami, Prime Fresh Handling benefits from being part of the Prime Group, a network of coordinated cargo and freight specialists with offices and representatives worldwide. For general information, visit www.primegroup.aero. Alex Paredes may be reached at the JFK Office by calling 516-837-9777 or via e-mail at salesjfk@primegroup.aero. By Roger Paredes, CEO-Prime Group. This is truly one of my favorite times of year – flower show season in Quito. Not only does it mean I get to travel back to my homeland of Ecuador, but it is also a fantastic opportunity to catch up with old friends and associates in the business, while forging new relationships. This year is extra special because we get an extra helping of networking. That’s due to the fact that there are two flower shows happening simultaneously, Sept. 19-21. Granted, they are taking place at different venues, but in the same city of Quito – so there is little chance of missing you. On behalf of my business partner Omar Zambrano and the entire Prime Group team, I invite you to visit us at both shows, Agriflor and Expo Flor Ecuador, each showcasing Ecuador’s cut-flower industry to the international flower buyers community. You will find us at the two booths Prime Group is hosting at each event, representing our air-cargo partners Atlas Air and Emirates Sky Cargo. The international flower trade exhibitions Expo Flor Ecuador-2018 is at the new Metropolitan Convention Center of Quito; and Agriflor-2018 is at the Centro de Exposiciones of Quito. These flower trade fairs are the most important annual events for Ecuador – and Prime Group is so pleased to play a part. While the biggest group of exhibitors consists of flower growers from Ecuador, literally hundreds of other industry-related companies will also participate. Among the people coming in from all over the world are service providers connected to the flower industry, such as freight forwarders and airlines – which is why we have such as big a presence here. I have been going to flower shows in Ecuador since even before Prime Group’s founding in 2001, so I know such events are an excellent way for us to provide personalized benefits to our customers, strengthen our relationship with them, and increase company visibility. This year we will be on the floor marketing the services of Prime Group that are directly connected to flowers, especially Prime Fresh Handling. And that’s why we are planning to have such a big presence here again this year. Joining Prime Group’s executive leadership will be our local staff in Quito plus a number of our people from Bogota, and key members of our sales team. At the end of the day, the centerpiece of everything is flowers, flowers, flowers – especially Ecuadorean roses, which are the best in the world. No doubt, you will be left in awe by the enormous arrangements that will be on display, as the growers show off their best products, their best colors, and the absolute best quality. Quito is the a place to be and to be seen this time of year – upon a backdrop of one of the most amazingly beautiful shows in the world. I look forward to seeing you there!